Matsushiro Castle was built in the middle of the 16th century. 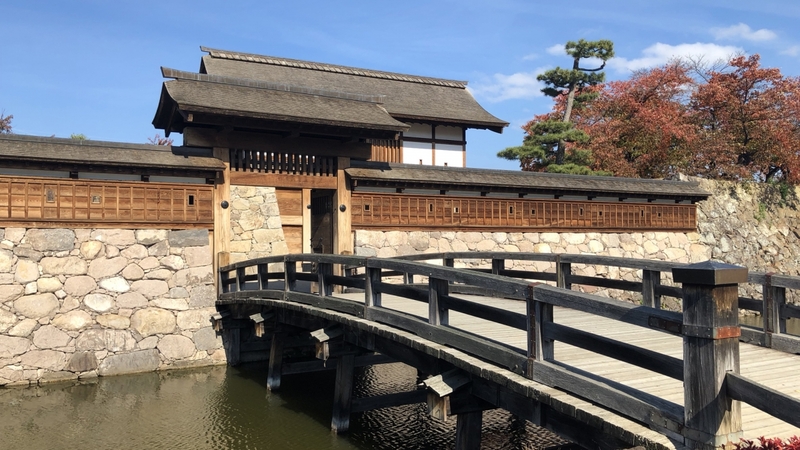 Built so that the Chikuma River flowing on the north side would serve as a moat, it became the stage of a major battle, the Battle of Kawanakajima. After a change of castle lords, Nobuyuki Sanada moved from Ueda Castle to Matsushiro Castle in 1622. Ten generations of the Sanada clan lived there for about 250 years until it was destroyed in 1871. After that, only the stone walls remained until 2004, when the gate and bridge were rebuilt and restored to their original states. 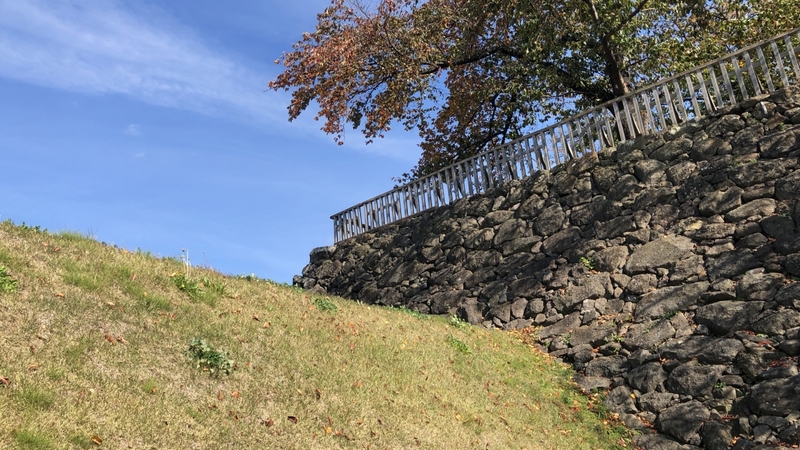 Matsushiro Castle was one of strong defense, with the Chikuma River to the north and large moats to the east and south. Its stone walls used locally acquired Shiba-ishi rock and stone from Mt. Minakami. The masonry technique used here was called “nozura-zumi” – a natural way to construct stone walls by piling up roughly hewed stones. 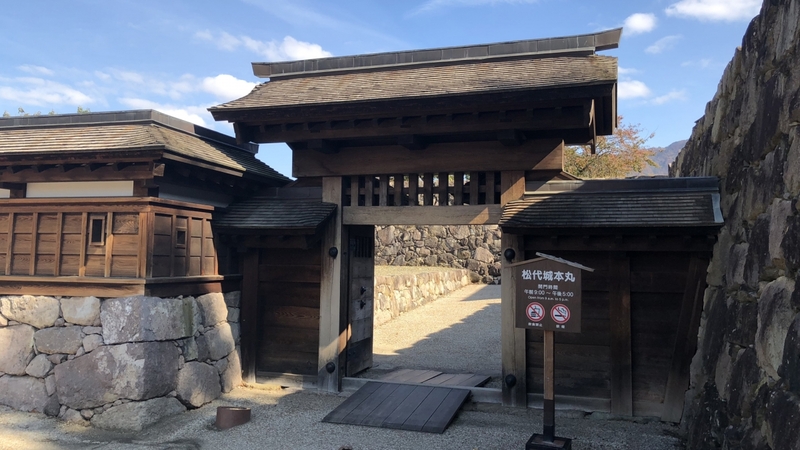 “Taiko-mon” or the drum gate is the largest gate of the Matsushiro Castle, standing right in front of the keep. It is named so because it houses a drum to tell the time for retainers to come to the castle or give emergency signals. This is the site of the Iuni Turret which was the tallest of all turrets in the Matsushiro Castle. 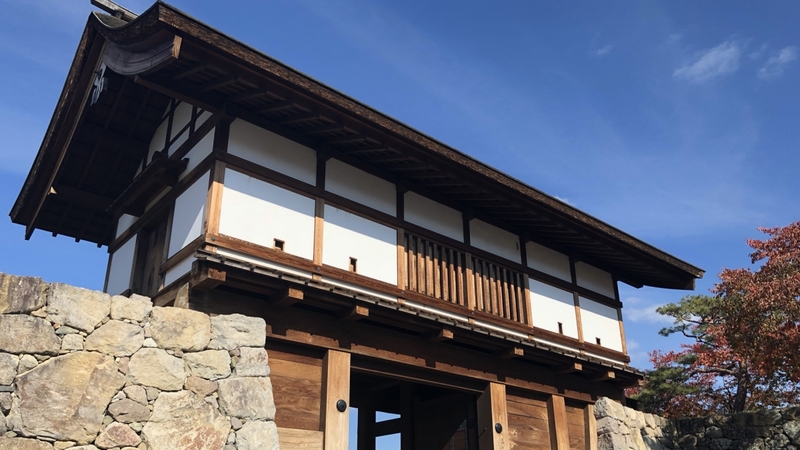 An ancient drawing indicates that a two-story turret stood here, allowing samurai of bygone days to command a sweeping view of the Nagano Basin. 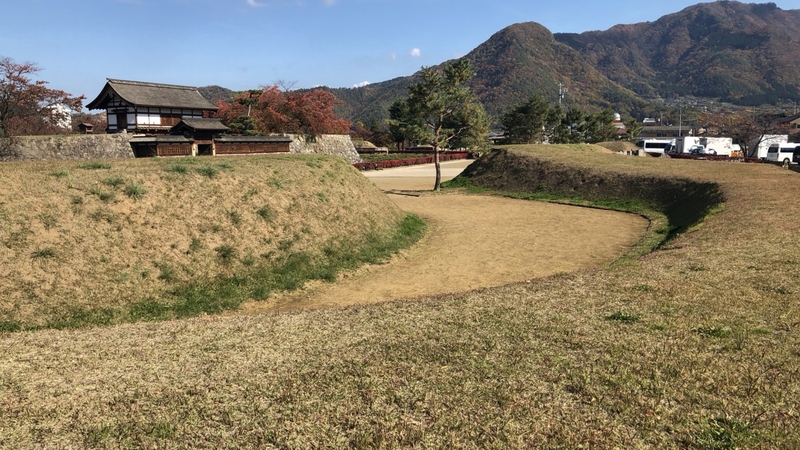 These earthen fortifications reveal that at the time the castle was built, the Chikuma River flowed up to this point. Get off at the Matsushiro-eki stop and walk 5 min.